As we’ve established, Jennifer Lopez and Alex Rodriguez are a brand. Together, they are building J-Rod: The Empire. At the beginning of their relationship, there were questions about how Alex “Centaur” Rodriguez would handle being the clear lesser half of this power couple. Could ARod, a noted egomaniac, be a permanent plus one at red carpet events and generally in life beside Jennifer Lopez? So far, the answer seems to be yes. Here’s what ARod posted last night after they attended the TIME 100 gala side by side. He also posted a shot with JLo’s mom and sister. Jennifer Lopez graces one of the six TIME 100 magazine covers. Alex Rodriquez was not one of TIME’s 100 most influential people of 2018. He was there solely to play the role of supportive boyfriend and shockingly, he played it rather well. The quotes ARod gave to Entertainment Tonight are basically just a continuation of the JLo gush fest on his Instagram page. Even though I rolled my eyes a bit at the bullpen analogy, this quote in isolation is sweet. It’s all about Jennifer and HER accomplishments, as it should be. He’s “flattered” to be there, as he should be. How can I hate on a guy who seems to know his place? I know, I know, I’m getting sucked in. ARod knows that J-Rod is good for business and he’s selling the sh-t out of it. For me, it’s working. After J-Rod’s Vanity Fair cover and spread, I decided that these two are perfect for each other and might, in fact, live happily ever after. They both love the spotlight and they both seem completely down to play the game together, extremely publicly. As long as ARod continues to recognize how #blessed he is to be in JLo’s presence, I’m into it. Long live J-Rod! 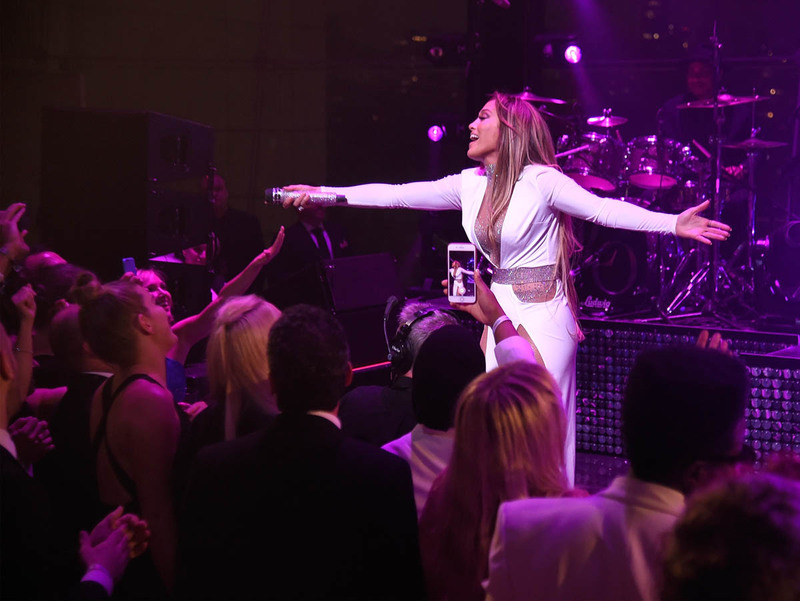 Jennifer Lopez also performed at the TIME 100 gala and reminded everyone why she is who she is. As Kerry Washington wrote in her piece for TIME, it is JLo’s ability to perform that has always been her superpower. Just listen to Leslie Jones react to watching JLo’s performance. Leslie Jones is giving Alex Rodriquez some competition as JLo’s biggest fangirl and I am here for it. What do we think ARod was doing during this performance? My bet is on some gentle foot tapping and awkward head bobbing. I cannot picture him dancing.